Last year, HTC showed glimpses of getting their marketing in order when they secured the excellent Robert Downey Jr to promote the HTC One. While we’re sure it worked well for exposure of the HTC One, it’s still nowhere near close to the marketing power Samsung wields. In fact, nobody can really take on Samsung when it comes to marketing, even Apple is worried about how effective their marketing is. 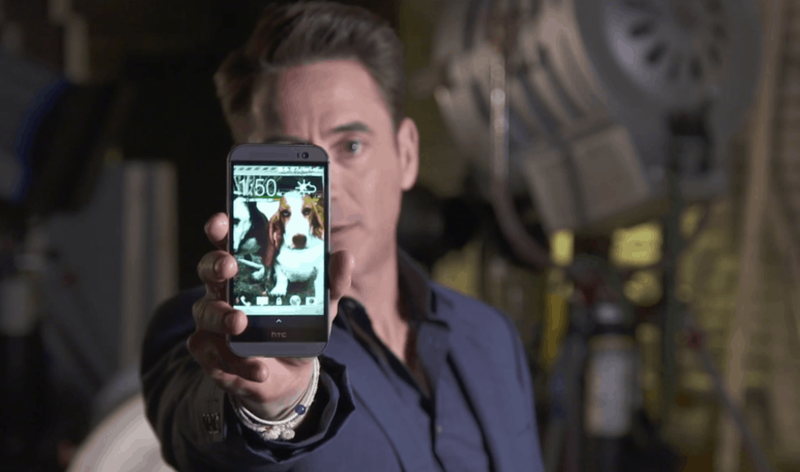 Now though, we have a new HTC One, the M8 and we’re seeing the first piece of advertising with Robert Downey Jr showing off the device. In what’s a pretty big departure from the Hipster Troll Carwash ads, RDJ is simply talking serious about how much he loves his new “pre-release” HTC One (M8) and started off by saying that the 2013 model of the HTC One was given “Top Smartphone of the Year” for 2014, the second time running. Of course, that award alone doesn’t seem to have done their sales any favors. Downey Jr then goes on to say how much he loves his own unit and that he would defend it with his very life. Such a line would sound much better in an Iron Man suit, but we guess Marvel have bigger plans for their iron-clad Avenger. It’s an interesting new ad and definitely a departure from the silliness of other adverts, but personally, this doesn’t seem to have the same effect as some of Samsung’s recent adverts. Sure, the Korean giant knows how to push people’s buttons and poke fun at the competition, but that’s definitely working. Unfortunately for nice guy marketers out there, Samsung’s attack ads are getting their message across clearer than anything else out there and despite the fact Robert Downey Jr is a revered actor the world over, we can’t see people standing to attention when watching this latest ad. The post Robert Downey Jr Returns to Talk “Serious Design” About the HTC One (M8) appeared first on AndroidHeadlines.com |.